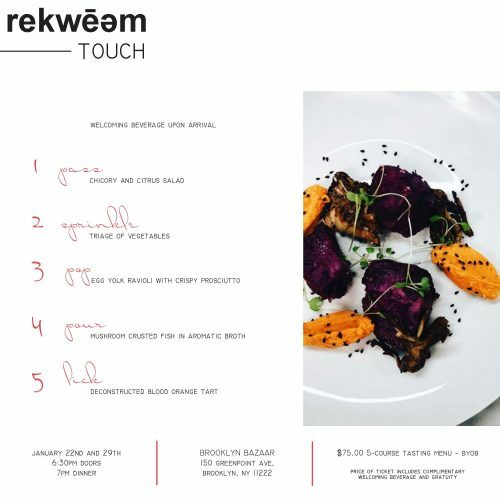 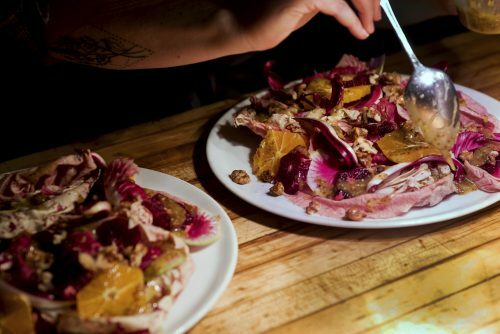 The pop-up dining series Rekwēəm by chef Allyx Michele made its debut this week at the Brooklyn Bazaar (150 Greenpoint Ave) in a private dinner with an inventive 5-course tasting menu focused on seasonal ingredients. 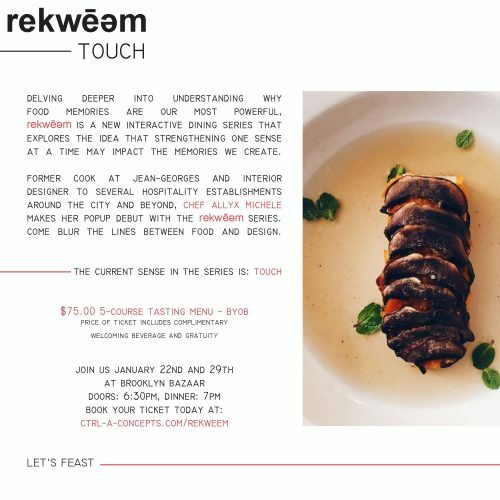 There are three more Rekwēəm dinners planned for Jan. 29th, and Feb 12th and 26th. 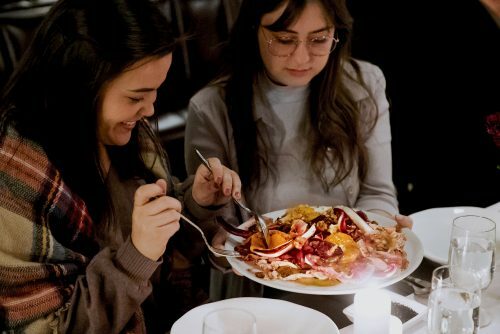 All dinners are BYOB and look-out for more dates in the future. 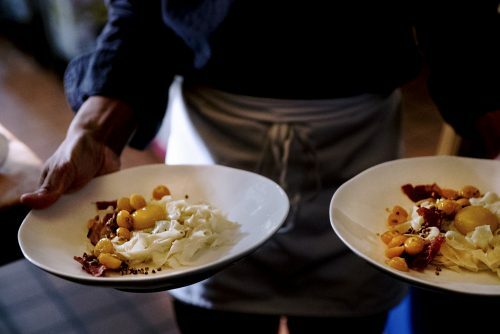 This edition focuses on the sense of touch and contrasting textures of the dishes. 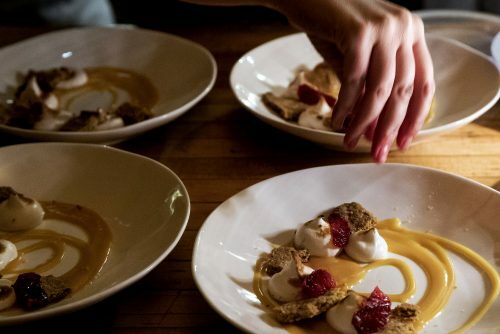 Chef Allyx Michele plans to make slight adjustments as the series progresses and the menu will change seasonally with the availability of fresh ingredients. 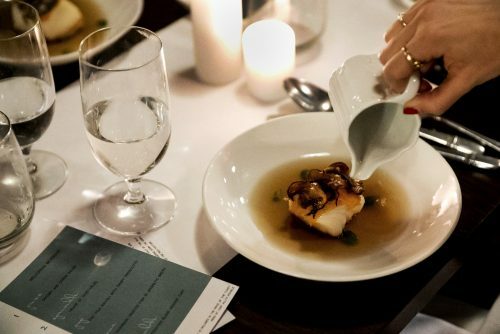 The meal begins and ends with citrus-accented dishes, and on the way to the irresistible deconstructed blood orange tart dessert, the Rekwēəm dinner delights with savory and soft pasta with crispy prosciutto and mushroom crusted seabass in a savory vegetable broth.